Hungry? 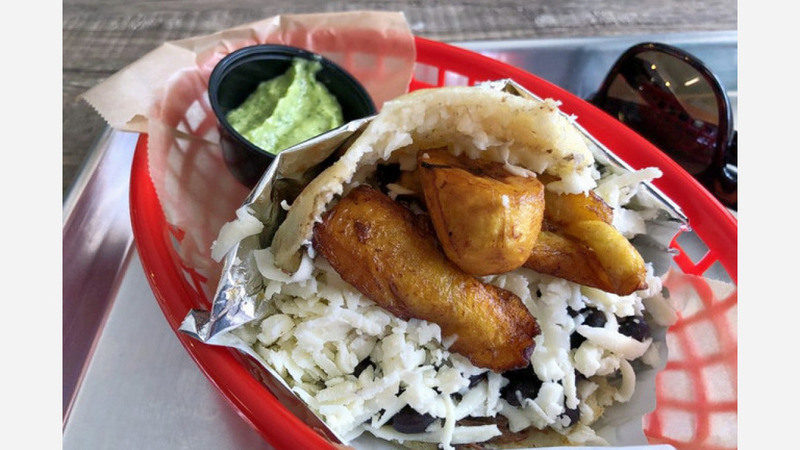 A new neighborhood Venezuelan spot has you covered. The newcomer to Lincoln Square, called Sweet Pepper, is located at 2604 W. Lawrence Ave. The counter-service restaurant comes courtesy of married couple and Venezuelan natives Jose Navea and Andrea Andrade and is in the space that previously housed Papa Giorgio's pizzeria, according to Block Club Chicago. Expect a create-your-own-meal setting in which diners first choose a base (corn flour-based arepa, plantain, bowl or salad), then add a protein such as barbacoa beef, pulled pork, shredded chicken, avocado chicken or tuna. The meal is finished off with a selection of toppings like black beans, Caribbean cheese and vegetables. Sweet Pepper has already attracted fans thus far, with a 4.5-star rating out of five reviews on Yelp. Yelp reviewer Marlene S. wrote, "Yummy food! I'm a vegetarian but that's no problem, just ordered the arepas with plantains, beans and cheese. The sauces are great! Tres leche dessert was heavenly!" And Steve M. noted, "The food was fresh and delicious. What a very welcome addition to the food offerings in the neighborhood. Stop by and check it out!"